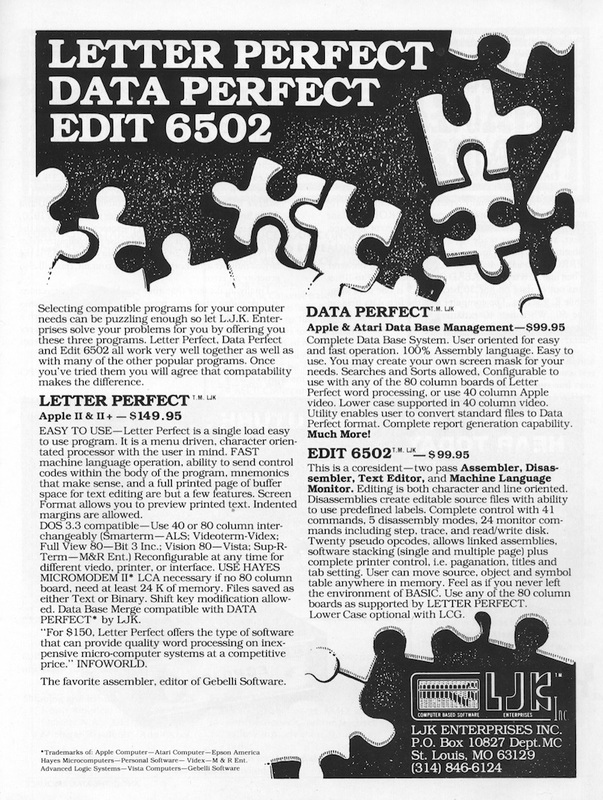 According to the April, 1982 issue of SoftSide, "Letter Perfect has nice print options, allows the user to output command codes directly to the printer, but is somewhat lacking in its user interface. 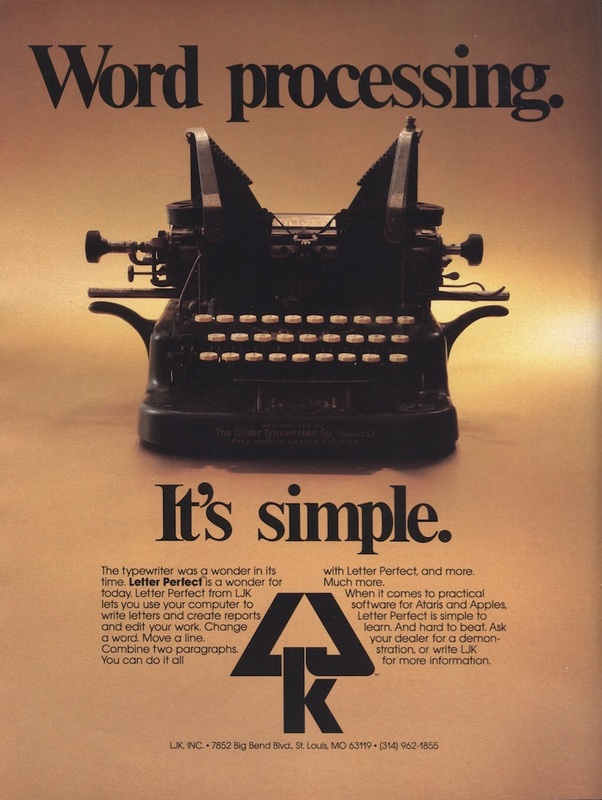 For example, the program title that always occupies the top line of the editing screen is distracting. And the multitude of control commands are a little difficult to remember. 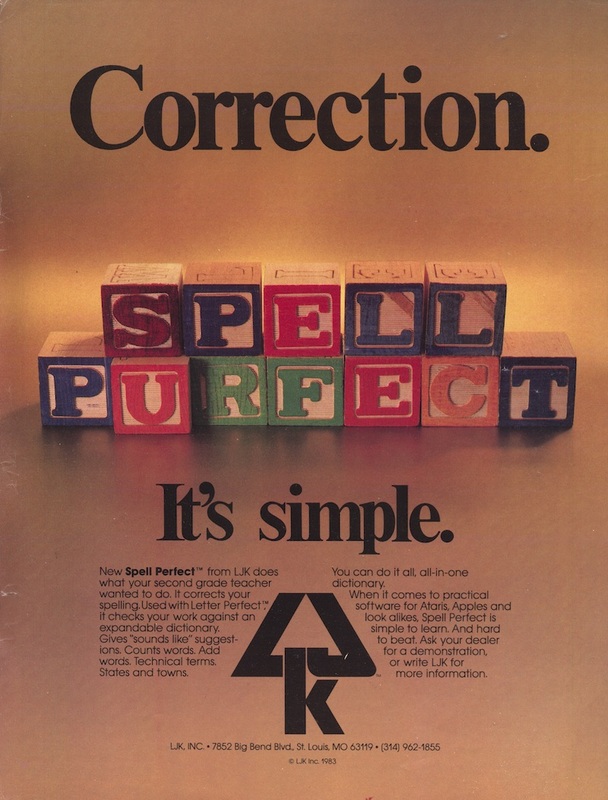 Its files not being DOS compatible precludes its use for some functons..."
Where is Data Perfect? 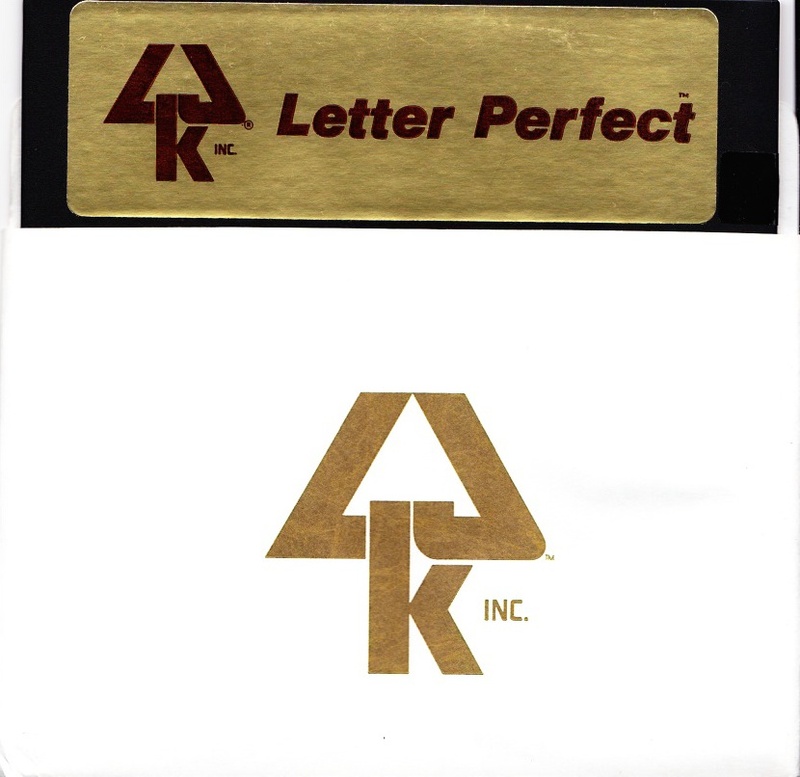 It was also made by LJK and integrated with Letter Perfect. 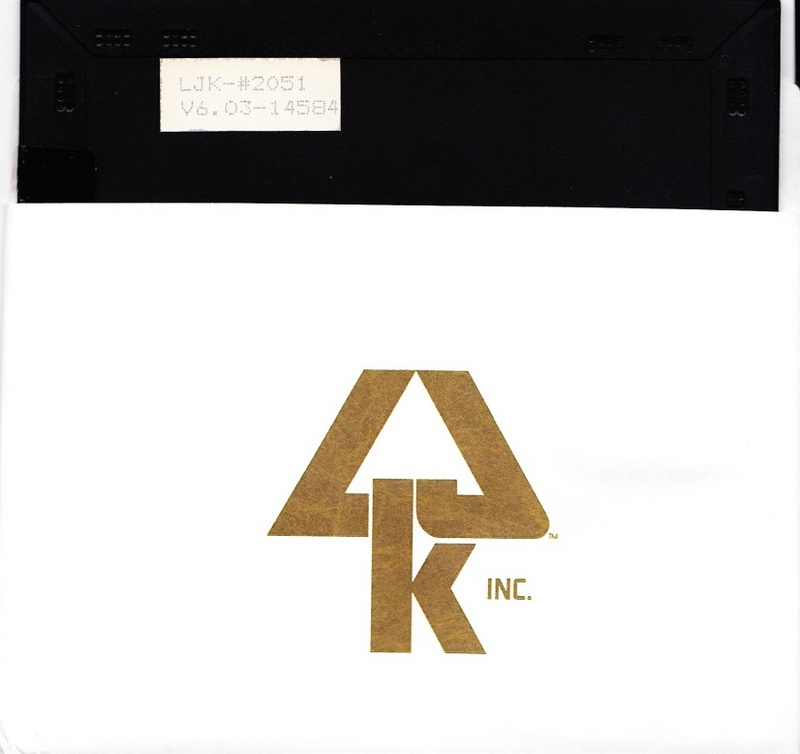 Used its own disk access system in order to save the RAM space required for DOS. 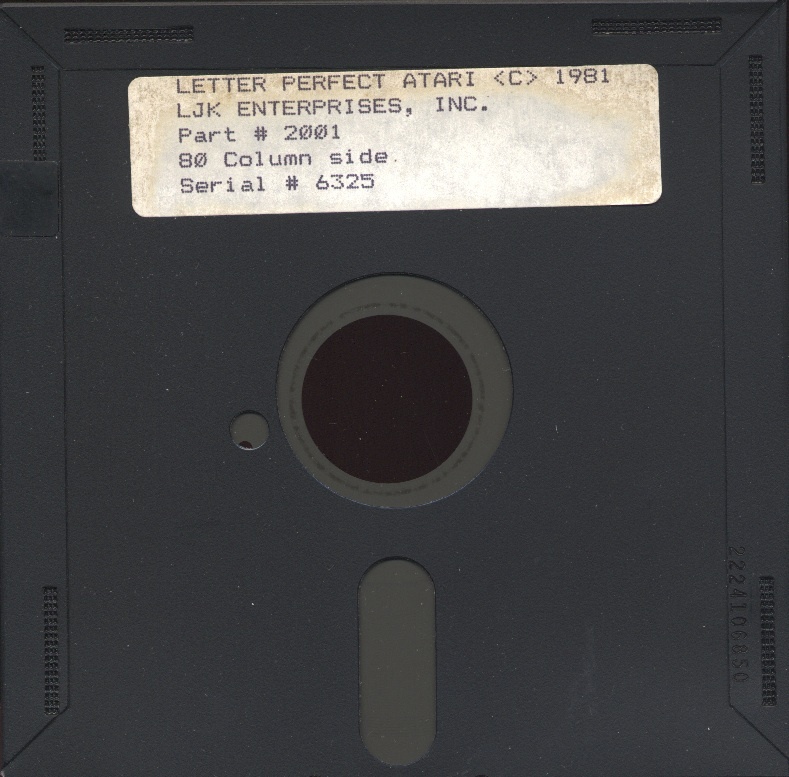 Missing 80-column cartridge release dump and original disk images! 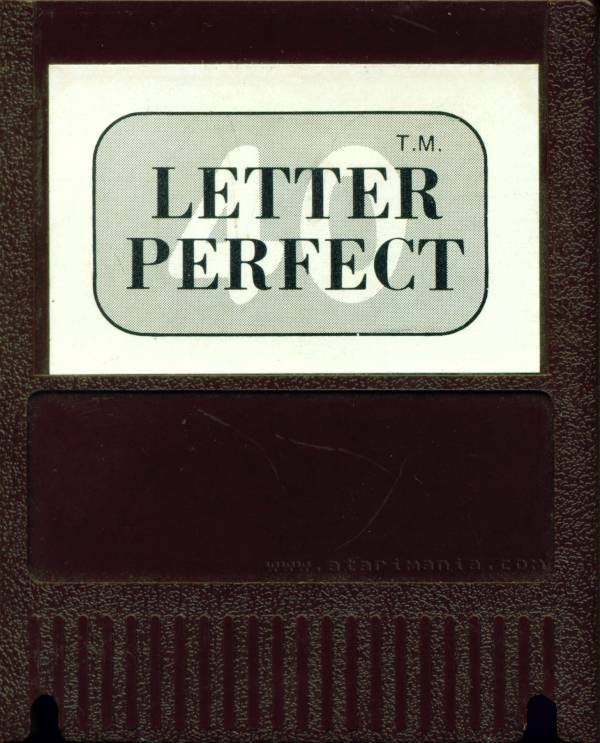 There were six versions of Letter Perfect released. 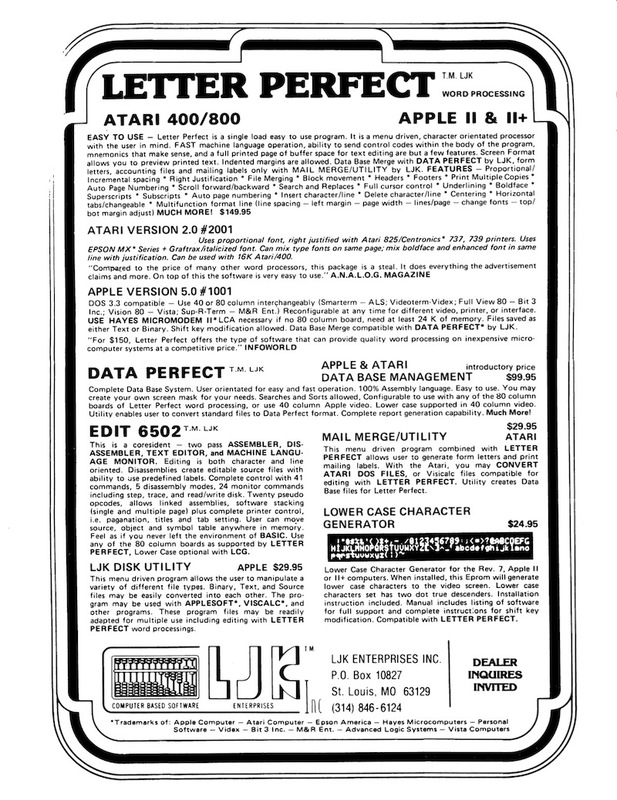 Two 80-column versions were released for both the Bit-3 and Austin Franklin 80-column cards. 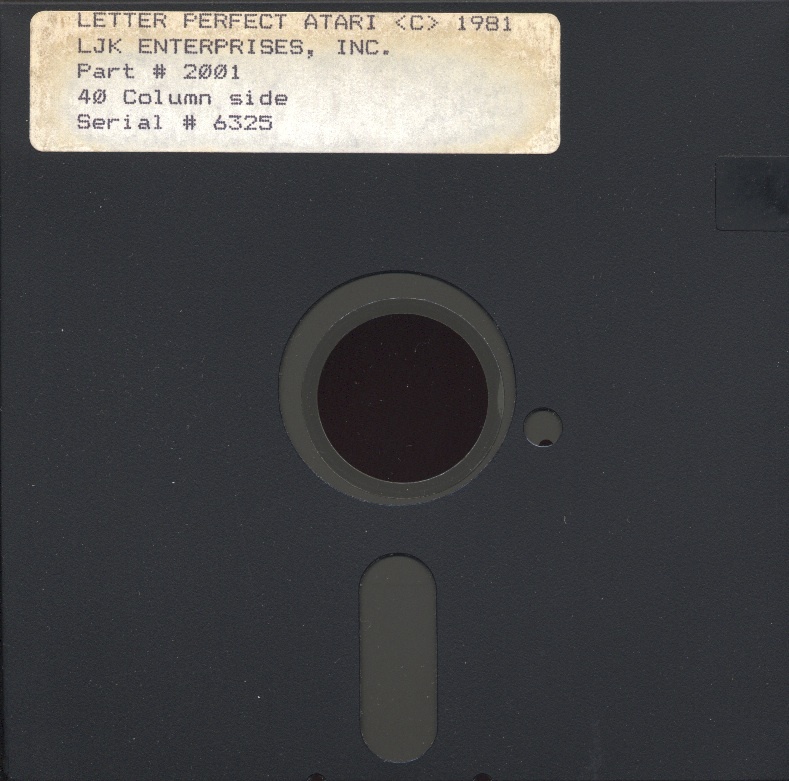 Letter Perfect was the first word Processor released for the Atari Computers.